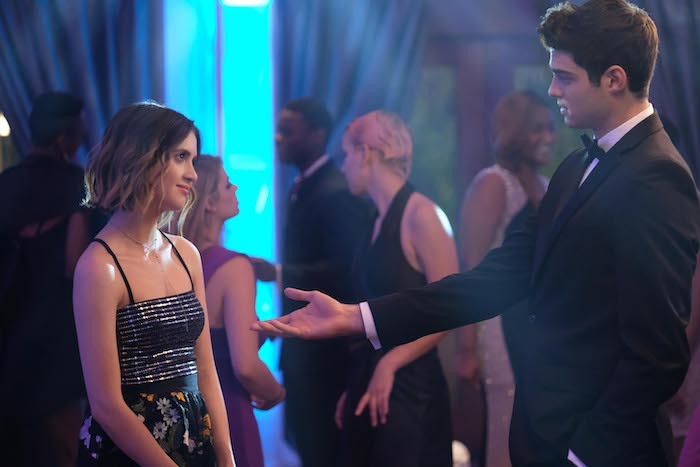 Do you want to go on the perfect date with Noah Centineo? Well, now you can. In his next flick, The Perfect Date, Noah plays Brooks Rattigan a super smart high schooler who would be bound for an Ivy League, if only he had the money to attend. Enter: Celia Lieberman (Austin & Aly's Laura Marano). He takes Celia to prom as a friend (and for the $$$), and thus begins his stand-in business. Together with his programmer friend, Brooks launches an app selling himself as a plus-one for all occasions. Along the way, he meets the girl of his dreams (Riverdale's Camila Mendes). But when business starts to boom, Brooks must reassess everything he was once sure of. Watch the trailer for The Perfect Date below. It hits Netflix on April 12.